Ariel really is one of a kind! While all of the other mermaids were content lazing around the castle, she was out having adventures and collecting coveted treasures, like the Dinglehopper! Of course, your little girl probably shares a lot in common with the Disney Princess. She's always ready to explore new worlds and she's always ready to strike out on a new adventure. That's reason enough for her to dress up as the classic animated character! 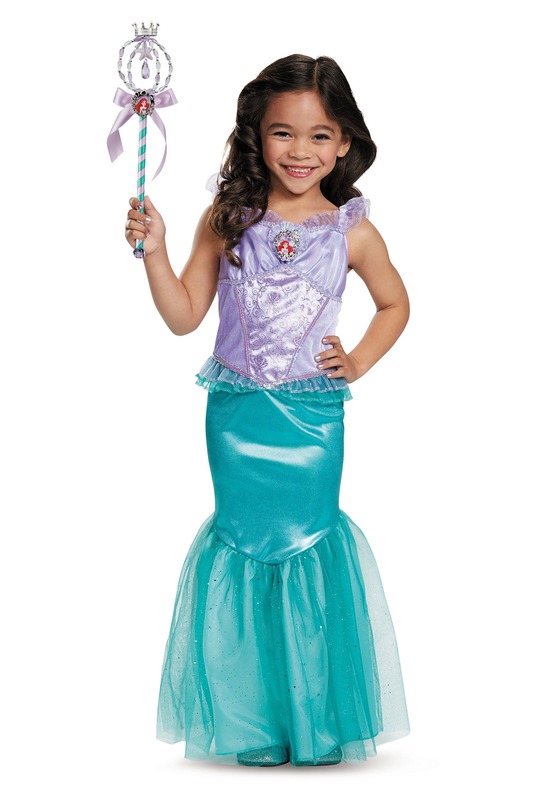 This Deluxe Ariel Costume gives your little one the appearance of the character from the film! 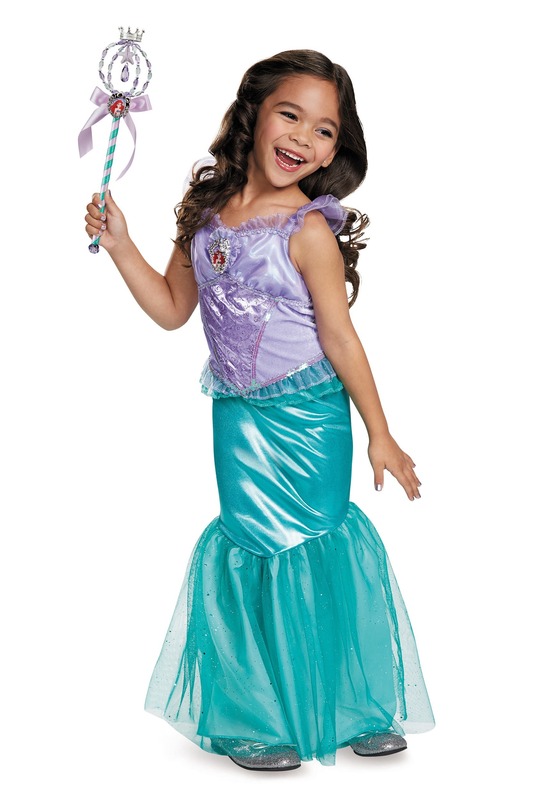 Complete with a shimmering skirt that resembles a mermaid tail and a light purple top, the dress transforms your little adventurer into royalty from under the sea! It's the easiest way for her to become her favorite Disney Princess. Just make sure Sebastian doesn't catch wind of her plans to visit new worlds, since he's bound to be a stick in the mud!